The Italian broadcaster RAI has announced the lineup for Sanremo 2017 - the 67th edition of the popular song festival. Out of 800 entries, 22 acts have been selected to compete in the Campioni category. From this category the winner has the right to represent Italy at Eurovision Song Contest 2017 in Kyiv. Al Bano – "Di rose e di spine"
Alessio Bernabei – "Nel mezzo di un applauso"
Bianca Atzei – "Ora esisti solo tu"
Chiara Galiazzo – "Nessun posto è casa mia"
Elodie – "Tutta colpa mia"
Ermal Meta – "Vietato morire"
Fabrizio Moro – "Portami via"
Firoella Mannoia – "Che sia Benedetta"
Francesco Gabbani – "Occidentalis karma"
Gigi D'Alessio – "La prima stella"
Giusy Ferreri – "Fatalmente male"
Lodovica Comello – "Il cielo non mi basta"
Marco Masini – "Spostato di un secondo"
Michele Bravi – "Il diario degli errori"
Michelle Zarrillo – "Mani nelle mani"
Nesli & Alice Paba – "Do retta a te"
Paola Turci – "Fatti bella per te"
Raige & Giulia Luzi – "Togliamoci la voglia"
Sergio Silvestre – "Con te"
The winner of the Big Artist section of Sanremo 2017 will be offered the option to represent Italy at Eurovision Song Contest 2017 in Kyiv. Sanremo 2017 runs over 5 consecutive nights, and will be hosted by Carlo Conti at the Teatro Ariston in Sanremo, Liguria, Italy. The 22 Big Artists will be split into two parts. The first part with 11 of the Big Artists will perform on Night 1, and thevoting begins (50% press jury and 50% televote). No eliminations. Top-8 qualifies directly to the semi-final on fourth night. The second part of the Big Artists with the last 11 entries will be performed and voted upon. Top-8 qualifies directly to the semi-final on fourth night (50% press jury and 50% televote). The 16 qualified finalists will perform a cover of a known Italian song. The 6 non-qualified entries will perform again, and the best 4 will qualify to the semi-final, and the two last will be eliminated (50% press jury and 50% televote). 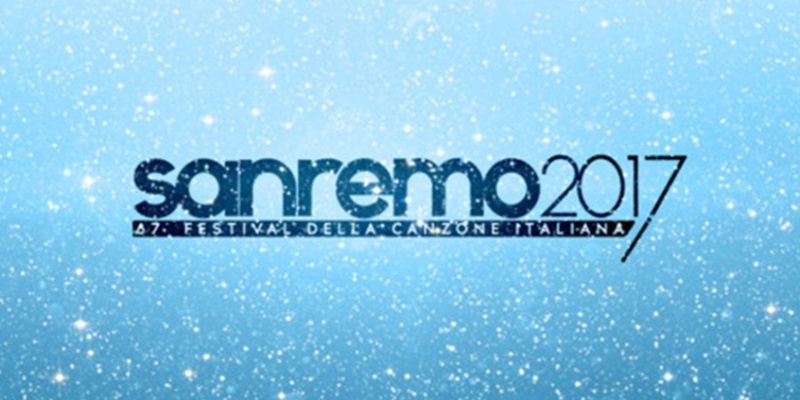 The 20 qualified semi-finalists will perform their Sanremo songs. Top-16 qualifies to Saturdays final of Sanremo, and the four last will be eliminated. (40% televote, 30% expert jury, 30% demoscopic poll). The 16 finalists will all perform in this evening's Final of Sanremo 2017. The 3 best will advance to the Super Final, and will perform again. The winner of Sanremo 2017 will be decided by 40% televote, 30% expert jury and 30% demoscopic poll (poll by around 300 music fans). The winner of Sanremo Big Artists have the option to represent Italy at Eurovision Song Contest 2017 in Kyiv. If the winner declines to go to Kyiv then RAI will internally select another participant. This was the case last year, when Stadio won Sanremo 2016 with 43% of the votes in the Final. They couldn't compete in Eurovision 2016, so the runner-up Francesca Michielin was offered the ticket to Stockholm with her Sanremo entry "No degree of separation", finishing 16th at Eurovision 2016. Sanremo 2017 will be aired on Rai 1 and Rai HD. Eurovision 2017 will be Italy's 43rd contest. They have won twice, in 1964 with the song "Non Ho L'étà" and in 1990 with "Insieme: 1992". Worst result was in 1966 where they finished last.